I’ve been living on the edge so long, where the winds of Limbo roar. And far old to see, all the stars are on the inside. From Clairvoyance to Precognition to Telekinesis the powers of the mind are vast and varied. There are number of great Mentalists in comics, such as Brainwave, Professor X, and the Martian Manhunter. Here we will focus on some of the more cerebral aspects of the Mentalist. We are skipping things like Biokinesis or some of the more elemental powers like Pyrokinesis, Hydrokinesis. While defined as psychic powers, mechanically, they will likely look more like the Ultra-Human or an Elementalist, of course specific characters may vary. The Mentalist can hear the thoughts of others, gleam information from the future, or from objects. The basic Framework focuses on establishing the Mentalist as simply knowing more than others. Providing information to the team, the Mentalist can provide key information to the team as the eyes into the unseen. As it’s in the name, the Mentalist’s Psychic Focus’ Parent Attribute is Mental. This means that the Mentalist does not need to be incredibly smart or wise, simply that they have a singular force of will. That said, there is no reason why your Mentalist couldn’t use Intelligence or Wisdom for their Parent Attribute. The basic Framework also establishes the Mentalist as keenly aware of their surroundings with the Primary Role Supporting Perception. The Mentalist can’t always explain why they know things, for that reason their Psychic Focus picks up Added Support: Intuition. The Mentalist can read people’s thoughts and speak to others directly with New Communication: Telepathy. Telepathy allows the Mentalist not just basic communication, but they can extract information from foes’s minds. Also, the Mentalist adds Control: Telekinesis allowing them to use their power to manipulate objects at Range. Thanks to the Mentalist’s powerful sensory data we add Secondary Role: Defense. The Defends Against Boon means that they are protected from both mental attacks and physical harm. We selected Might attacks instead of Quickness to represent Telekinetic shields, as opposed to actually avoiding the attack. Perception and Intuition both offer defensive Advantages. Once per session, Perception can be used as a bonus to Normal Defense, while Intuition can be used as a bonus to Surprised Defense. This makes the Mentalist extremely difficult to be caught off guard. Expanding on our basic Framework, we have the following common variants. The Esper, who focuses on expanding the Mentalist’s powerful sensory powers. The Overmind, master of others minds. The Psychokinetic, which focuses their powers on the physical world. Limited: Secondary Role: Offense only when foreseen. The Esper possesses amazing sensory powers, seeing the past through objects or from a location they can gleam key information from events that have already transpired. Perhaps more impressive, the Esper can see events that have yet to transpire. Additionally, the Esper’s sensory powers prevent them from ever being without some defense. Prediction also offers the Esper an overall advantage on any scene they have had a vision of, in addition to this, we have given the Esper an added bonus to Offense in these scenes. Finally, we add the Bug and Smart Device Tools. These are not physical tools but rather represent Remote Viewing, and the Esper’s ability to tap into the collective unconscious. The Esper can provide critical aid to the team, warning them of dangers before they occur. With their ability to predict the future, the Esper can venture into the fray, although they should probably avoid the front line. Going beyond simple tricks of telepathy, the Overmind seizes control of their foe’s minds, forcing them into submission. Boost Control makes it easier for the Overmind to force opponent’s to take actions they would otherwise normally oppose. Should one be able to resist the Overmind, they are still capable of stunting actions and making it difficult to do anything, with the use of the Meddling Boon. Should the Overmind’s foe’s continue to resist they are also capable of delivering potent psychic blasts that bypass most defenses. The Overmind can turn enemy forces against themselves, sowing chaos and leaving foes in a confused mess. It’s probably best for the Overmind to keep their distance. If they cannot control every opponent there is a high likelihood the Overmind has just made themselves a major target. 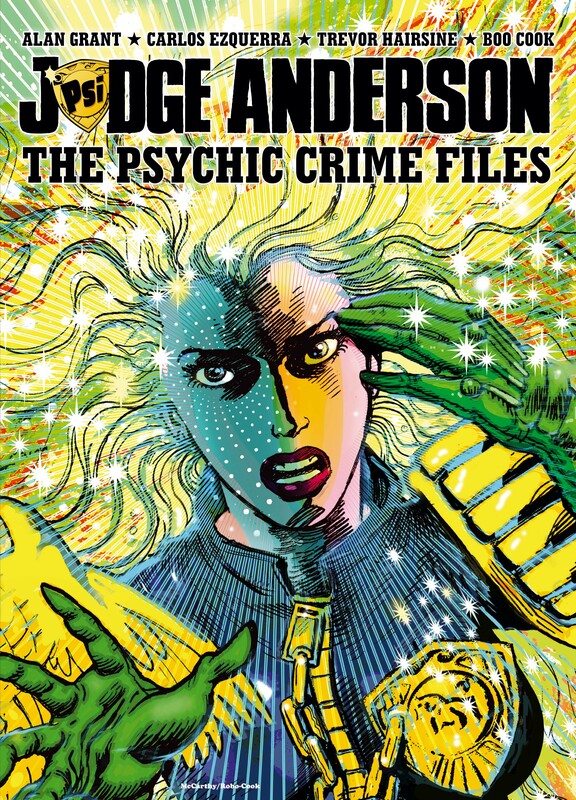 Of the three Mentalist variants, the Psychokinetic is perhaps the most iconic when it comes to comic books. They’re superior telekinetic control allows them to move larger objects with ease, deliver bolts of force, and trap foes. Worse, foes trapped by the Psychokinetic are still subject to their powers. as they continue to hammer foes. Granted, their single attacks may not as dangerous as the Overmind’s direct psychic blasts, but over time they can wear foes down. Like the Overmind, it’s probably best to keep one’s distance. Adding Boons like Blast can help force foes back as you telekinetically toss them around. 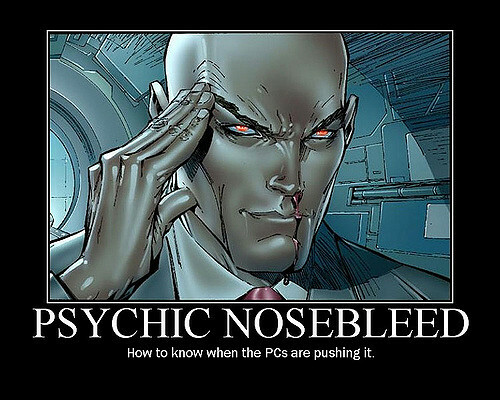 Option: The Psychic Nosebleed: Willpower allows heroes to push their powers adding extra boons on the fly. This can quickly drain one’s reserves. When the character really wants to lay on the damage they can pair the Brutal Onslaught Boon with the Feedback Drawback. The Mentalist pushes the damage they inflect each turn of a Continuous Attack, but in doing so, suffers damage themselves. Mentalists know their surroundings and know how to find information. Research helps them to know who they are up against. While Intuition and Perception keep them aware of their surroundings. Not Skill, Power, the Mentalist’s Talents may be directly linked to their ability to read surface thoughts, or the collective unconscious. Loosing their power, can cripple their associated Talents, such as Intuition and Perception. There has been more than one superhero tale where every character’s powers are derived from some flavor of psionics. We’ve only touched the tip of the iceberg in this article. Don’t be afraid to mix, match and explore all the great flavors that the Mentalist can take on. For an example of a Mentalist in play, check out Mentalos in our Seekers of SICAD Actual Play.